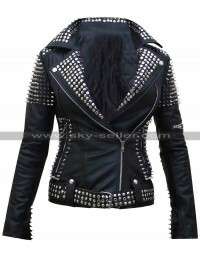 There are many such people who actually avoid wearing jackets in winters because they think it may make them look awful and lack trendy outlook, however these days it is not at all the case this way. 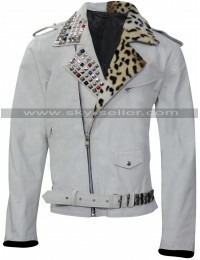 This very jacket is an example of such outlook which is beyond perfection and looks trendy at the first glance. 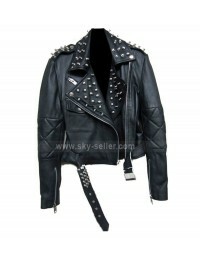 The material use in the making of this jacket is offered in two different kinds of choices one being faux leather and the other being genuine leather, however, the length of this jacket is above waist and has been accessorized using the studs at the collars and edges to make it look different and appealing at the same time. 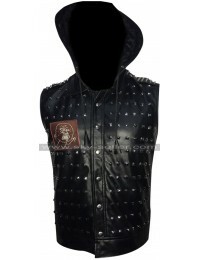 There are round collars and the front also features a zip closure with the inner of this jacket make using viscose to ensure comfort to the one who carries it. 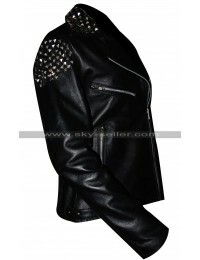 The sleeves of this jacket have also been accessorized with the studs and this appearance gives a very happening look as well.